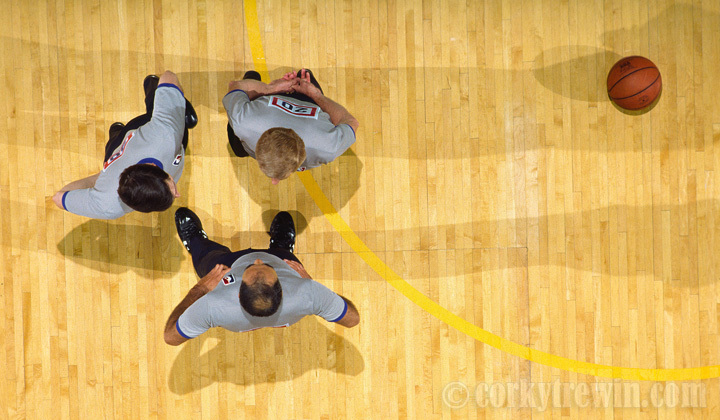 NBA referees confer during a time out during a 1989 Sonics game. This image was made from a vantage point high in the center truss in the Seattle Center Coliseum. This entry was posted in NBA, Seattle Supersonics, Sports and tagged Referees, Seattle Center Coliseum. This is one of my favorites, Donna.